Explanation: Do you recognize the Earth's Moon when you see it? The crazy, patchwork appearance of the false-color image makes this almost full view of the Moon's familiar near side look very strange. The Sea of Tranquillity (Mare Tranquillitatis) is the bright blue area at right, the Ocean of Storms (Oceanus Procellarum) is the extensive blue and orange area on the left, and white lines radiate from the crater Tycho at bottom center. Recorded in 1992 by the Galileo spacecraft enroute to Jupiter, the picture is a mosaic of 15 images taken through three color filters. 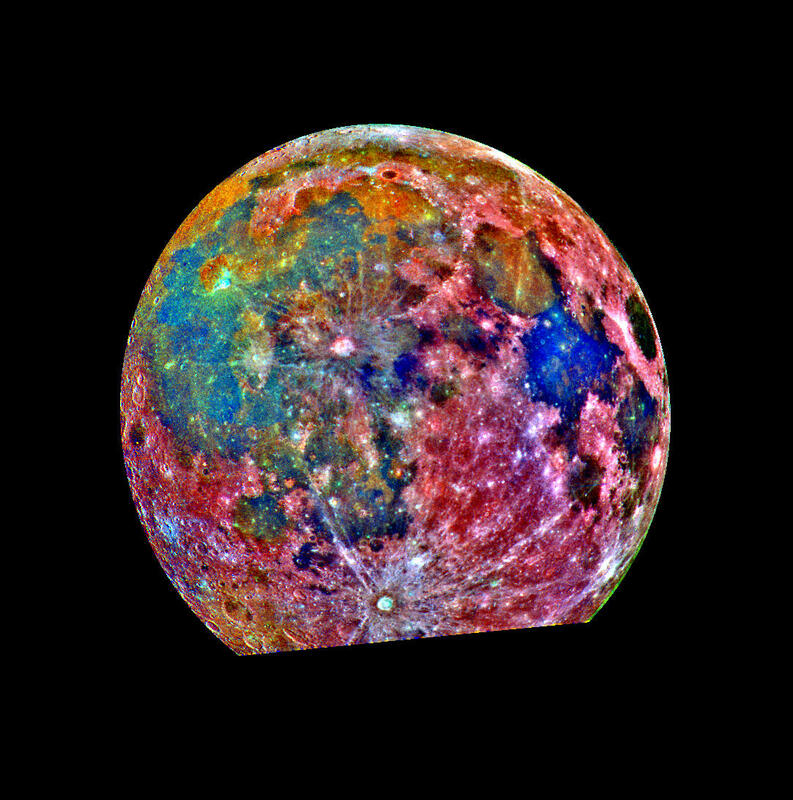 The image data were combined in an exaggerated color scheme to emphasize composition differences - blue hues reveal titanium rich areas while orange and purple colors show regions relatively poor in titanium and iron. 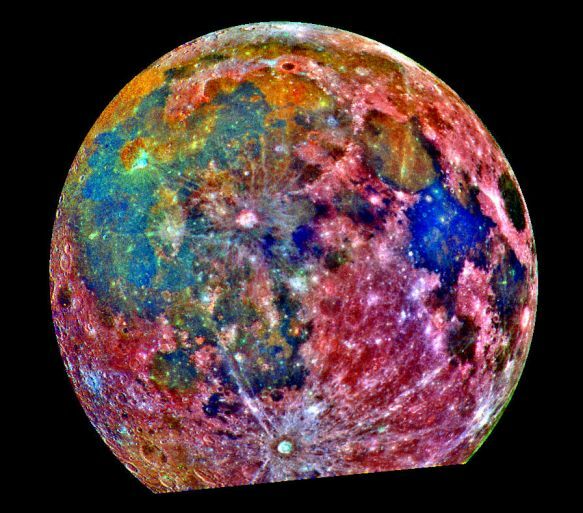 Multicolor images exploring the Moon's global surface composition were made in 1994 by the Clementine spacecraft.